In this season of gratitude, I’m thankful for the editors, designers, publishers, and others who labor at making books. Reading and writing are what sustain me. You sustain me. 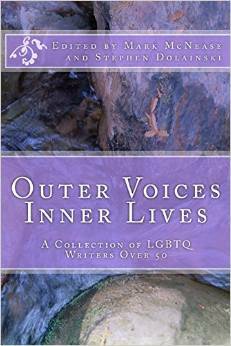 Thank you to Mark McNease and Stephen Dolainski for including me in this anthology, Outer Voices, Inner Lives: A Collection of LGBTQ Writers Over 50. This entry was posted in Essays and tagged aging, books, death and dying, faith/belief, writing. Bookmark the permalink.